I loved reading Roald Dahl’s books as a child. Matilda was my favourite, although The BFG is a close second. Jessica and Sophie are still a little young for them but my twin sister’s two daughters both love them. 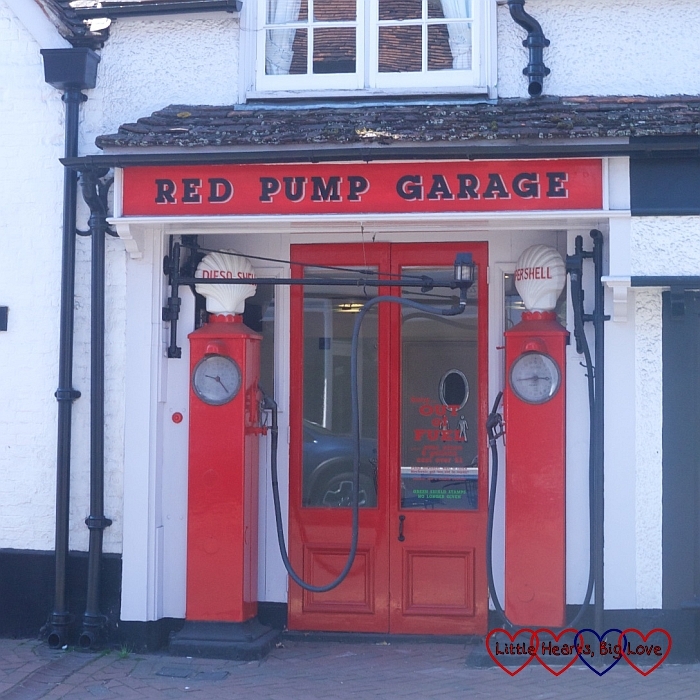 They were very excited when I suggested that we visit the Roald Dahl museum in Great Missenden during their recent stay with us. 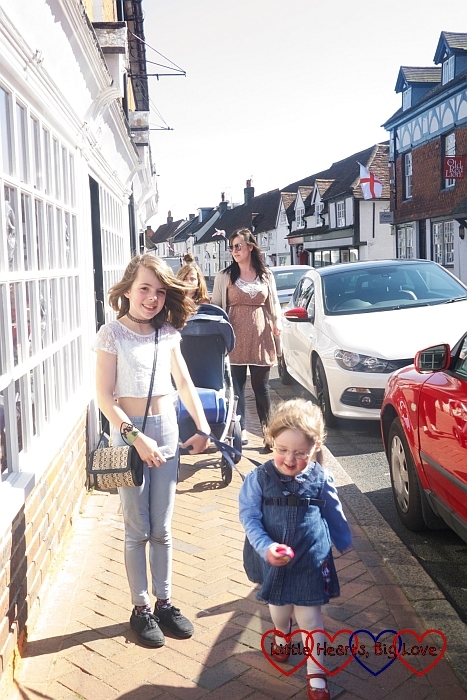 Whilst planning our day out, I had also discovered that there was a treasure trail in Great Missenden. As the weather was perfect for exploring, we decided to include this in our day out. We downloaded our trail from the Treasure Trails website for £7.99 but there are also free leaflets for self-guided walks available from the museum. 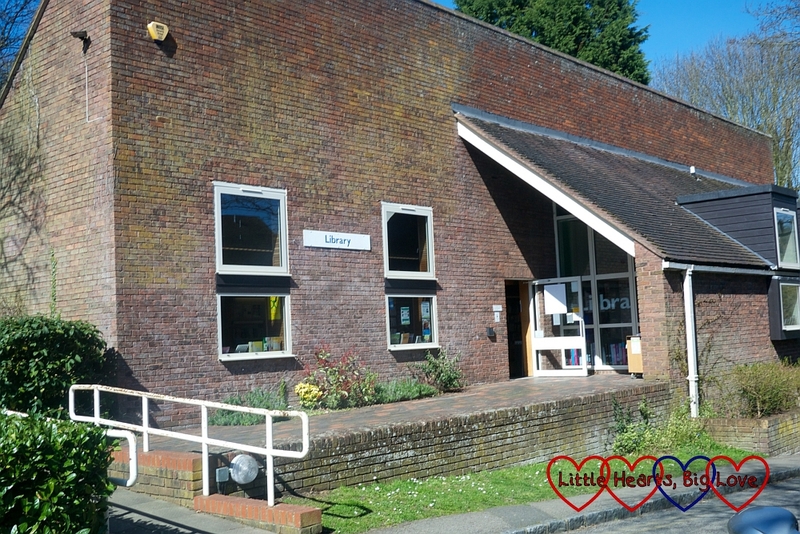 As we walked from the car park to the museum, we passed “Matilda’s library” (the village library which was the inspiration for the one mentioned in ‘Matilda’) and “Danny’s garage” (the petrol pumps which inspired the filling station in ‘Danny, the Champion of the World’). 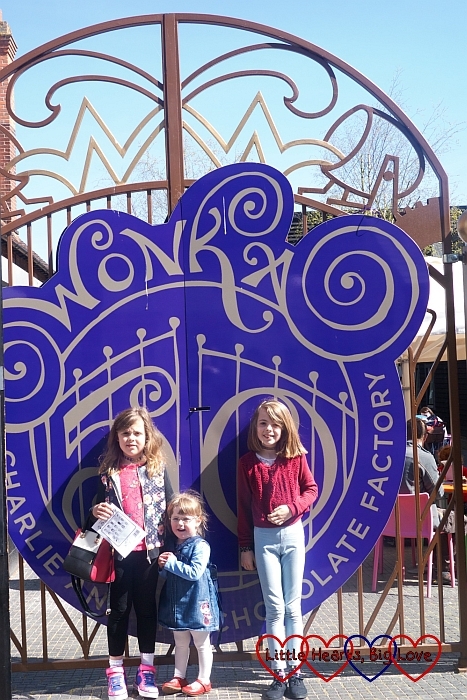 Outside the entrance to the museum was one of the gates from the entrance to Willy Wonka’s factory itself. These are replicas of the ones used in the Tim Burton film. 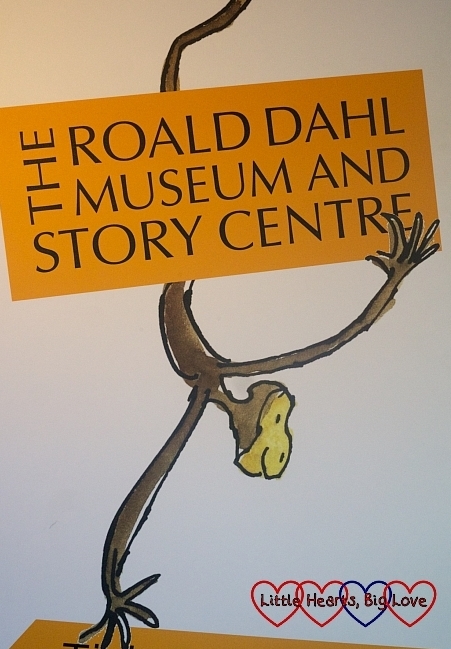 The first two rooms – the “Boy” gallery and “Solo” gallery were all about Roald Dahl’s life. There were interesting facts about his books and how the stories evolved. 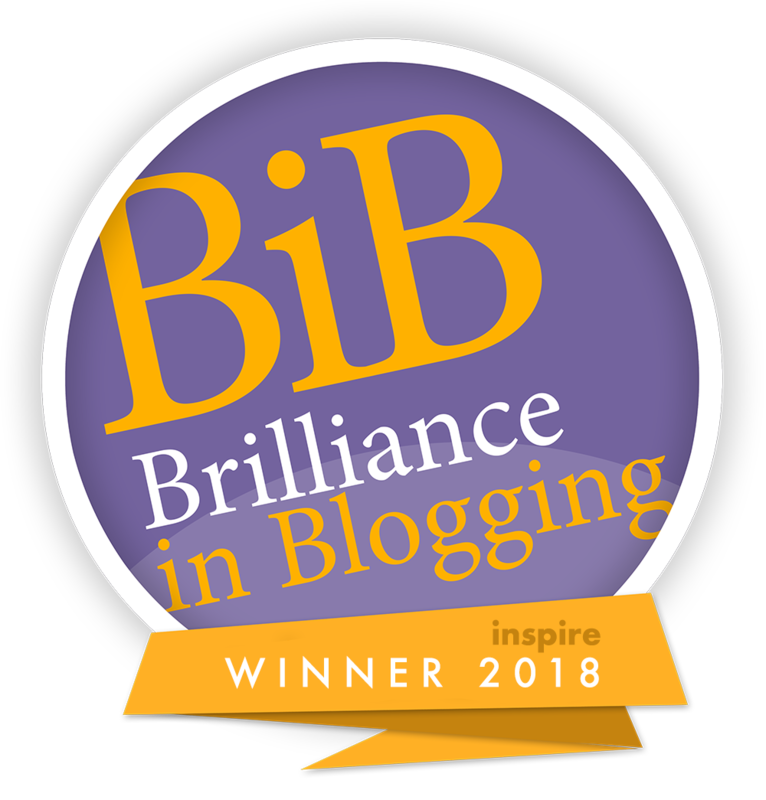 For example, there were originally 15 naughty children in Charlie and the Chocolate Factory because he had enjoyed writing about them so much! The height chart in the “Solo” gallery was interesting. I had never realised quite how tall Roald Dahl was (6ft 6in if you were wondering). We all enjoyed seeing how we measured up height-wise to the various characters in the books. My twin was the same height as Miss Honey, I was as tall as Mrs Silver and Jessica was about the same height as Farmer Bunce. 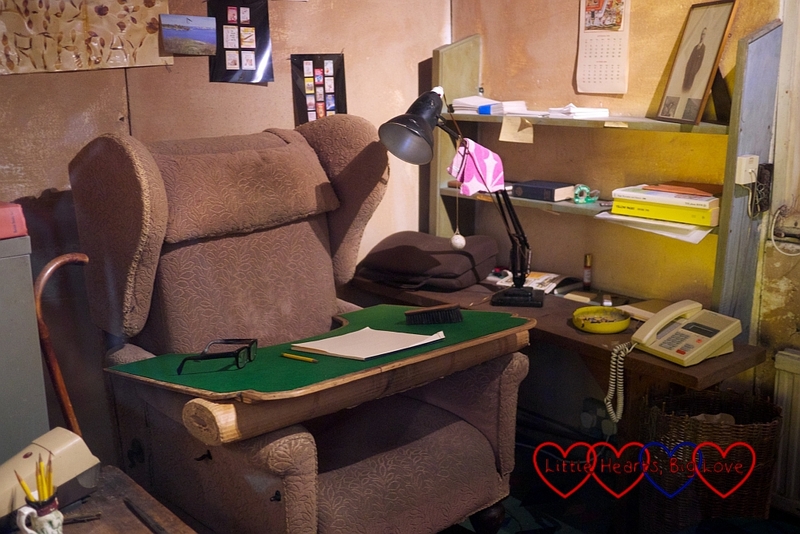 Roald Dahl’s writing hut had been reconstructed in the middle of the “Solo” gallery. The interior is set up just as he had left it for the final time before he died. 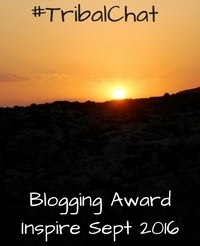 I found the items on the writing table particularly interesting. They included a ball of silver foil weighing 311g made from Dairy Milk wrappers and the femur ball joint from his hip replacement. Apparently the surgeon said it was the biggest he’d ever seen. There was also a jar of shavings from his spine after he had back surgery to ease the pain from his wartime injuries. 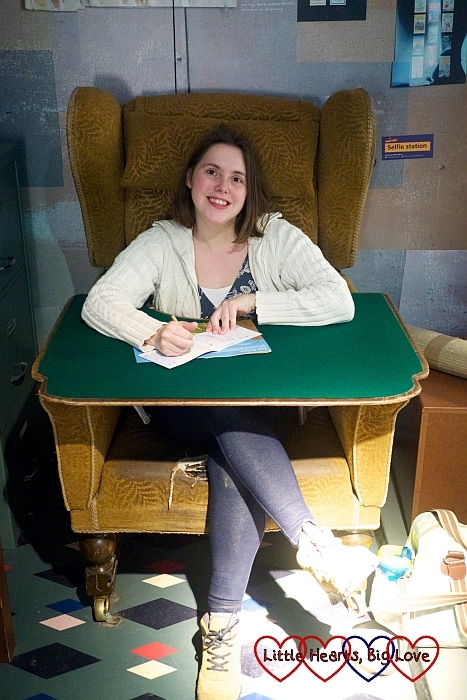 In the Story Centre, we were able to try Roald Dahl’s writing chair out for ourselves. The big armchair with its green baize-covered writing board, propped up with a roll of corrugated cardboard was incredibly comfortable. The Story Centre was our favourite part of the museum. 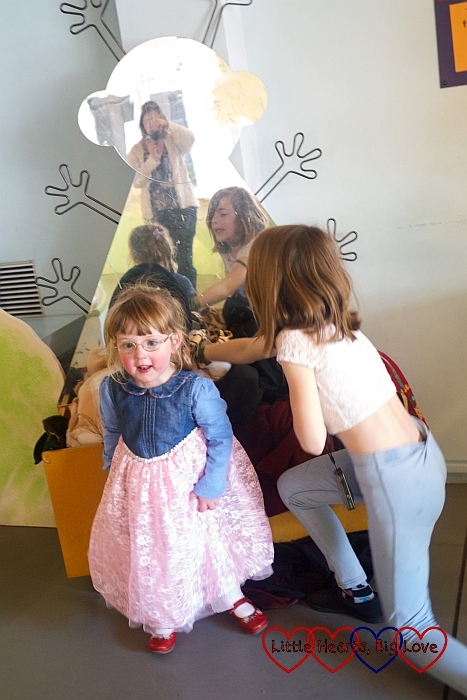 There were so many things for the children to do – from using magnetic words to try to create stories or new words, to building characters using cut out pictures of different facial features. Jessica made a beeline for the box of dressing up clothes. 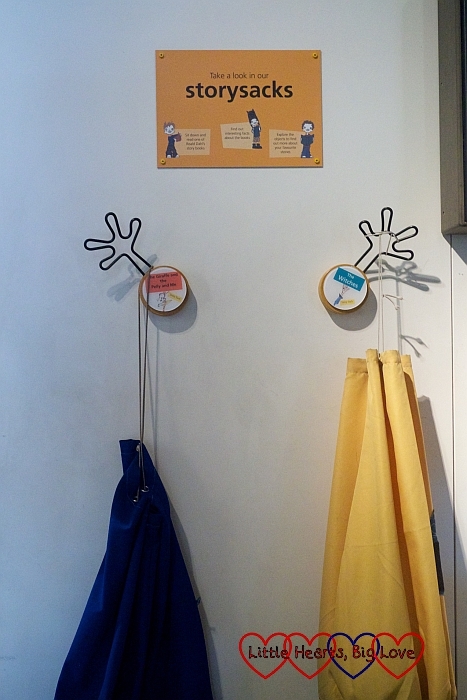 There were also several story sacks filled with items related to various books. At the back of the Story Centre was George’s Crafty Kitchen. 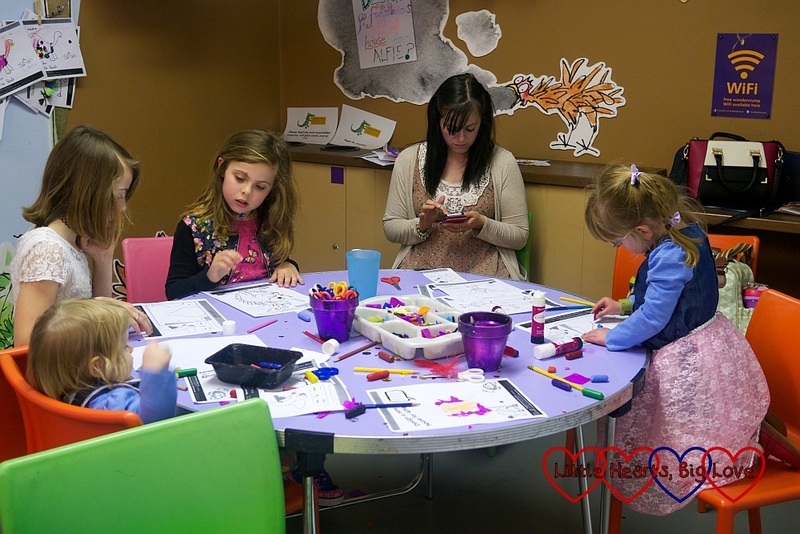 This is a big creative area with paper, crayons, glue, tissue paper, poms poms and pipecleaners. All four girls had a wonderful time creating pictures. 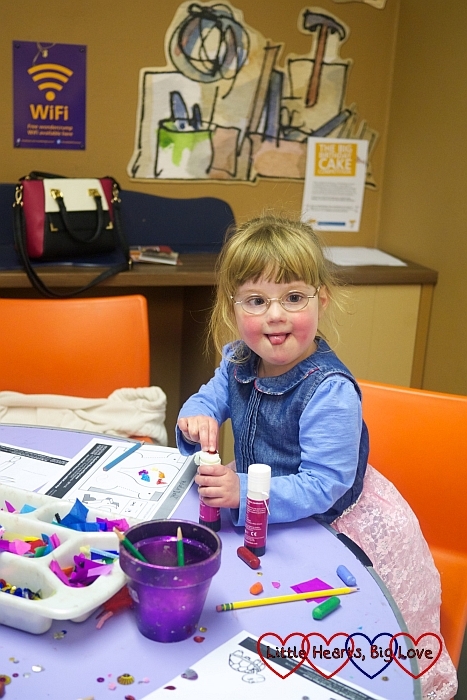 Even Sophie could enjoy sitting down and scribbling away with the crayons while Jessica loved gluing and sticking. 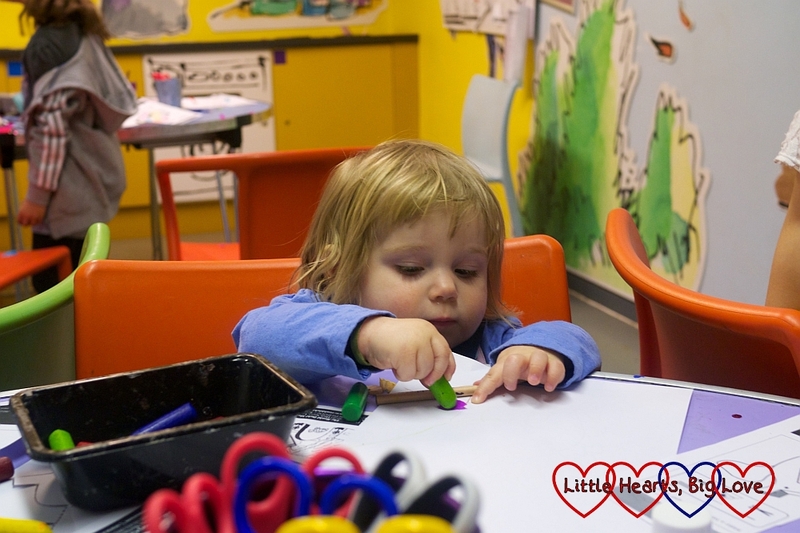 With the various masterpieces tucked away inside the buggy, it was time to head off on our treasure trail. We’ve done these a few times and they are a wonderful way of exploring an area. This treasure trail linked in beautifully to our trip to the museum. 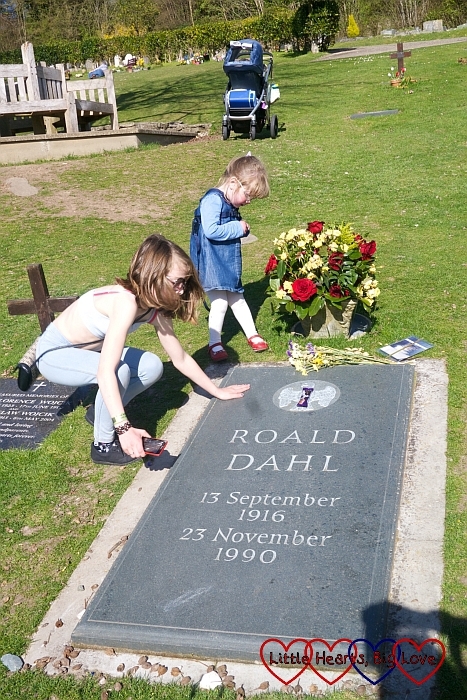 It took us to the Church of St Peter and St Paul, where Roald Dahl is buried. We found two of the solutions to the clues around his grave. One was on the nearby circular bench with the names of his children carved into it and the other on his gravestone itself. The trail is marked as being suitable for buggies. However, we did have to leave ours next to the church in order to find the clue in the old graveyard. The village itself is very pretty. We had perfect weather for exploring – beautiful sunshine and a lovely warm day. All in all, a fantabulous day out. 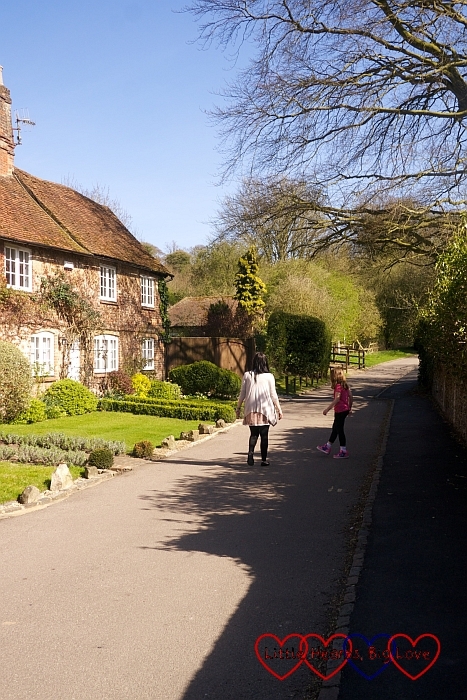 If you’re a fan of Roald Dahl, then the museum and village are well worth a visit. Entrance to the museum costs £6.60 for adults and £4.40 for children (5-18). Admission for under 5s is free. We paid £21 for a family ticket (two adults and up to three children). 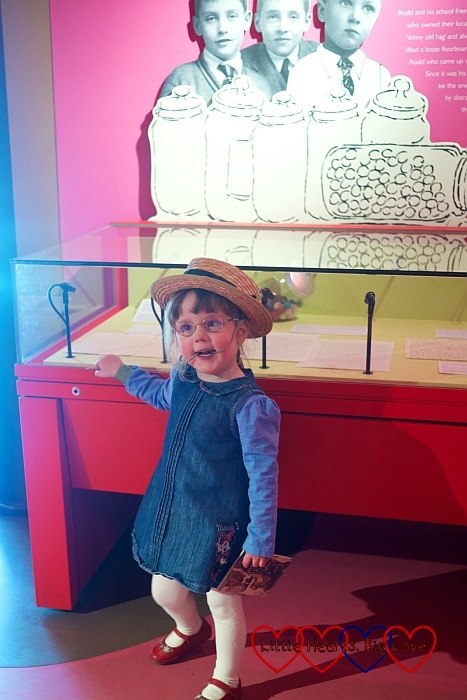 Visitors to the museum receive a wristband to enable them to come and go during the day. We didn’t return to the museum after our trail, but we could have done if we’d wanted to. 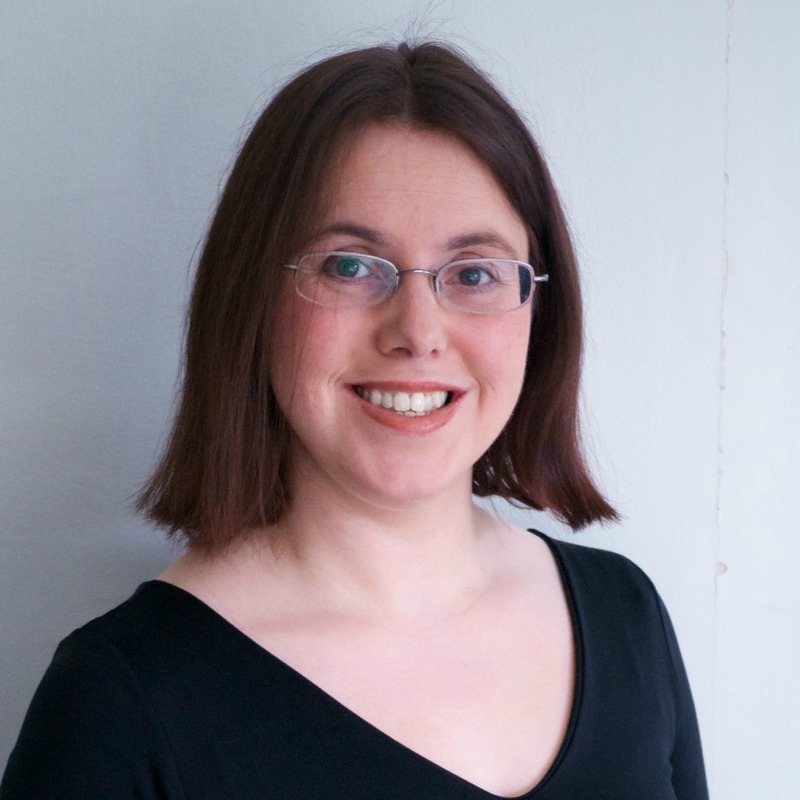 Thanks Stacey – it was a lovely day out and a surprising amount to keep the little ones entertained too. Oh I want to visit that museum now. My son love the twits, though he hadn’t read any other of Roahld dahls books yet, so we probably ought to wait a while before going. Looks like you all had a wonderful day. This does look good, we’ve been thinking about paying here a visit for a while. Will definitely make time for it now. Looks like you had a great time and I love the photo of you in the chair!! 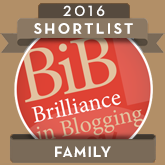 We still haven’t read The BFG yet — will have to get to that next! I don’t know why, but I’ve always a bit lukewarm about Roald Dahl, although some of his adult shorts are breathtaking and you can’t actually *dislike* the BFG or Charlie, can you? But we are getting into the zone for Dahl enjoyment with my son and what with me reading them aloud and the reserach into Dahl’s life we had to do for homework recently, I am really warming up to him. And that museum looks GREAT. Definitely on the list now. This museum is near me, so looking forward to taking my boy when he is big enough. My favourite is The Witches!